The increase in usage of social networking platforms is tremendous and it is projected to increase even more. In 2017, 2.46 billion internet users also used social media. And this number is expected to grow to 3.02 billion by 2021. Often, we see B2C brands using social media marketing to engage people and drive sales. Having said that, now with the increase in popularity and usage of social media, B2B brands should also leverage social media. Before you start with social media marketing, it’s important to know that there are paid and organic social media marketing options. Both strategies have their own pros and cons. But organic social media marketing is cost-effective and generates a long-term impact as opposed to the paid social media marketing. So, in my opinion, every brand should focus on organic social media marketing. In this post, I have listed the reasons why B2B brands should implement organic social media marketing. One of the major benefits of organic social media marketing is that it helps you generate high-quality traffic and leads. Since the traffic and leads you’re getting are high-quality, you’ll be getting maximum sales. This is why I recommend B2B brands use and leverage the power of social media. Social media platforms enable B2B brands to use advanced targeting to reach a relevant audience. 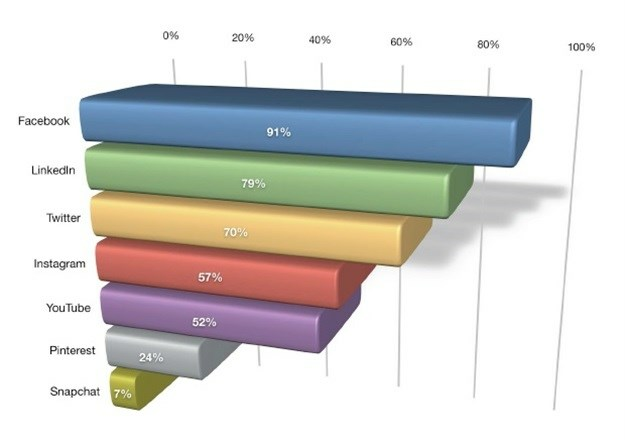 Out of all the social media platforms, 91% of B2B marketers use Facebook and 79% use LinkedIn. Facebook and LinkedIn give B2B brands opportunities to interact and engage with relevant users. 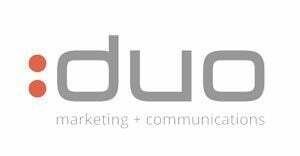 These two platforms are perfect for running B2B marketing campaigns because they have relevant B2B audiences. You can leverage these platforms and publish content that will appeal to your target audience. You can also run giveaways and offer discounts to attract your target customers. However, I would highly recommend you don’t use content that’s too promotional. This might adversely impact your target audience and they might end up by not visiting your website. You can also leverage the power of a relevant influencer from your niche. Perhaps you can interview them live on social media and draw their audience to your brand. You could even include them in your roundup posts. This is likely to get them to share your content and help you drive organic traffic. 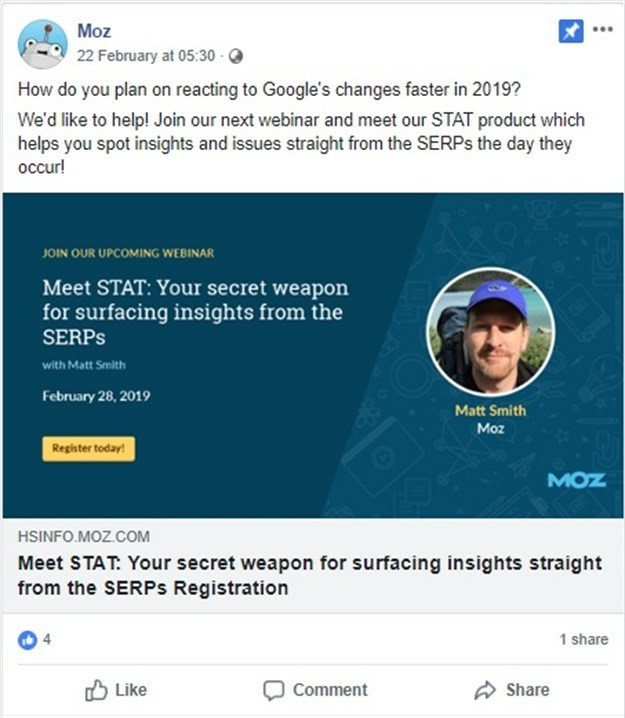 Moz uses their Facebook page to talk about an upcoming webinar. The post also promotes its product called Stat. The content is appealing enough to motivate followers to visit their website. When done correctly, social media marketing helps B2B brands improve their search engine rankings. And this is the second reason why I suggest that brands use organic social media marketing. When you get a high number of shares on your social media posts or content, it boosts the domain authority of your website. A higher domain authority enhances your authority in the eyes of search engines and, therefore, boosts your ranking. 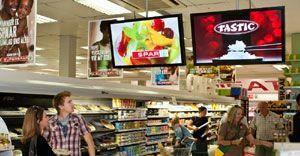 In addition to this, some customers like to visit the social media pages of brands before they make a purchase decision. This helps them gain a better understanding of the products or services. So, you need to make sure that people can easily access your website and your content through your social media pages. This means adding your homepage URL to your business details, and sharing posts that will lead people from social media to your website. For example, Mailchimp ensures to link their Twitter and Instagram social media channels back to their website. 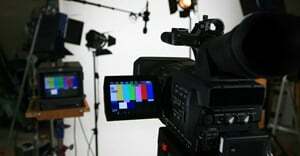 It is important for every brand to gain brand recognition. It’s human psychology to visit and make a purchase from a brand that you know about. So, what can be better than organic social media marketing to reach out to your target audience and gain brand recognition? I suggest that brands focus on organic social media marketing by building a strong social media presence. Being active on social media, sharing engaging content, interacting with people, etc. is a great way to do this. This can quickly put your brand in front of your target audience. As a result, your target audience will start thinking about your brand. However, I would strictly advise you to follow the same visual style for all of your social media handles. And ensure that it aligns with your brand’s aesthetics. This helps you maintain continuity and helps your prospects to identify you more easily. Also, drawing from my experience with clients, it’s best to place your brand logo in a way that immediately gets your prospects’ attention. In addition to the content of social pages, you also need to focus on the visual elements of your brand. 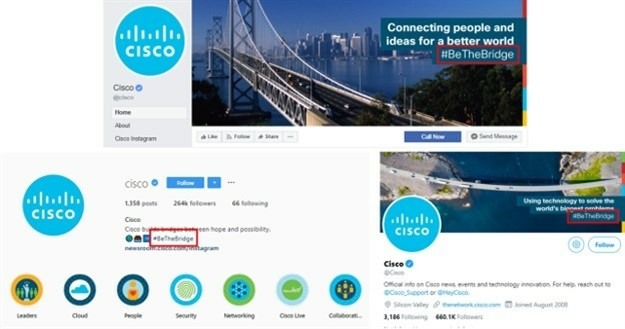 For example, as you can see the logo and the tagline of Cisco is exactly the same on their Facebook, Instagram, and Twitter pages. This helps their target audience to easily identify the brand. Image Source - Facebook, Instagram, and Twitter. Even though organic social media marketing takes time to show results, the impact lasts a long time. So, it’s worth the effort. Organic social media marketing helps brands - both B2B and B2C - generate more high-quality traffic and leads. When done correctly, organic social media marketing helps brands improve their rankings in search engines. It is because of these reasons that I strongly recommend that brands focus on organic social media marketing. Do you know of any other reasons for brands to continue focusing on organic social media marketing? Please share your opinions in the comments.